Most witches out there have books that they keep their rituals and spells in. Many traditions call this book a Book of Shadows. In this book they write down all their rituals, all their spells, and any work that they do with spirits and spiritual beings. This record becomes in many way our personal sacred texts and documents. In some cases witches can use their experiences within their records and books to in effect create the lore for their own system and practices. Like most witches I do have my own magical book and record system. I actually used to have several different books that I would keep. In an effort to keep all of the rituals from the different systems I studied separate as they were all separate systems I decided to keep my notes and my notes books separate. Its only recently that they have been combined back into one book, at least for the time being. As a solitary and primarily self directed witch I have the freedom to basically record any information I want in any way that I want. This means that I can have articles from magazines in there as well as any personal reflections. My book is really personal and is my own record. Though this book will in the end be used as the basis for the tradition I would like to found and teach, in general my book is something that really only makes sense to myself. Now I call my book a Grimoire for many reasons. The term book of shadows just never seem to fit. For one thing I have never been in the shadows with my practice at all. I have always been open and upfront about it. I have never hidden my practice. Though I might not have discussed it or brought it up in front of some family members I’ve never really made any attempts to hide the fact that I am and have always been a witch. So the concept of a book of shadows when I am not in the shadows didnt make any sense. The other reason is that my book has more than just spells, rituals, and invocations. My book has theory and exercises. It has lore and poetry. My book basically contains the sum of my spiritual knowledge and experience over the years. In this book I have recorded the names of spirits I work with, their personalities, and much more. This book could in essence be used to teach my path to another person. It provides step by step exercises with reflections to give an idea of what could be experienced. The book even has some of the realms and other worlds I have visited listed in there with details. I also like the term Grimoire. So I use it for my own practices. I know that its not one of the great Grimoires of Ceremonial Magic and Invocation traditions, but for me it still is a Grimoire. Other people when they have read my book will be able to look at it and perform the rituals and the works in there and have effective practices. They can use my book as a step by step manual for the works I have done. The other thing is that I have material from the official Temple Tradition Grimoire for the first degree in my book as well. The Temple material does have its own book as well. However the material also belongs in my book as I have experiences based on the training found in the Temple tradition. That is the other reason I call my book a Grimoire. 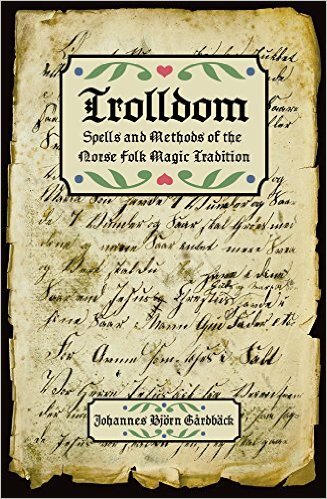 If the Temple tradition calls its ritual handbook a Grimoire, than I think I can call my book the same thing. I am after all scribing information from the Temple text into my own text as well. One thing I am going to try and be better about is actually recording and writing down my rituals and my spells. I’m the sort of witch who may not always write down the rituals and spells that they have performed. For this reason there are large gaps in my book of dates. I also don’t have any information from my early days as a witch. That first book is long gone. So working on my Grimoire is actually one of the ways I have started to get my spirituality back on track. I have all kinds of notes from books I have read that need to be transcribed into my Book. I am also going to sift through my diaries of a couple years. I know in several of my diary entries I have thoughts on Gods, Goddesses, and my spirituality. The notes and the diary entries will provide more material for my book and show me even more places where I have grown and where my spiritual paths have developed. I just need to spend the time to sort my notes and find out where in my book they will belong. I do hope that in time I can create different books of Grimoire style work. I want to have a book just for Dragon work. That way in that book I have only information that relates to dragons. By separating that information it also makes it easier to find exactly what I am looking for in my books. 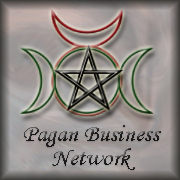 The same goes for my work with Germanic paganism and Greek Paganism. I’m also creating a prayer book and a specific spell book. The creation of these books is part of my spiritual development and my spiritual practices. It relates to my view of the importance of the sacred scribe. Over the next few weeks my Grimoire is going to get more information into it. I am going to be adding spells I have posted on websites and I am going to be adding in all sorts of additional correspondence information and the like. I may have to end up making the main book into separate books any way as this one is already quite full. So I may end up with theory and exercises in one book with rituals and correspondences in another book. We shall see how things develop over time. I know that as I study Hoodoo and get recipes for various items and spells I will be including those in my book as well. I already have a few recipes for different types of water in my book. Soon I am going to add spells to the book. 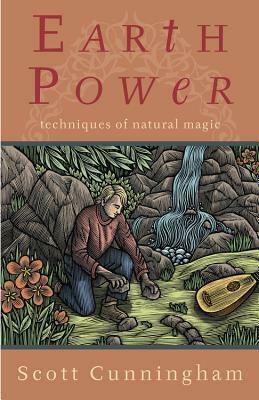 I just got to the spell centric section of one of the books I have been reading and working through. So that in itself is going to add a bit of stuff to my book. I’m always busy developing something spiritually between my business and this new maintenance of my Grimoire there is always something new to do and make.